RBTH presents a digest of Russia's most delicious culinary events from February 9-16, 2016. There are some delicious announcements this week. First of all, you should visit the Restaurant Day food festival at Moscow Flacon design factory (Bolshaya Novodmitrovskaya St., 36) on February 21. Amateur and professional chefs from all over the world will set up shop for one day for guests that are eager to try new cuisine and different taste combinations. This festival first took place in Helsinki in 2011 and the latest incarnation will gather cooks and gourmets in Moscow. By the way, food markets are unique institutions in Russia: learn more here. Also on February 21 is the Hyperborea International Winter Festival in Karelia. 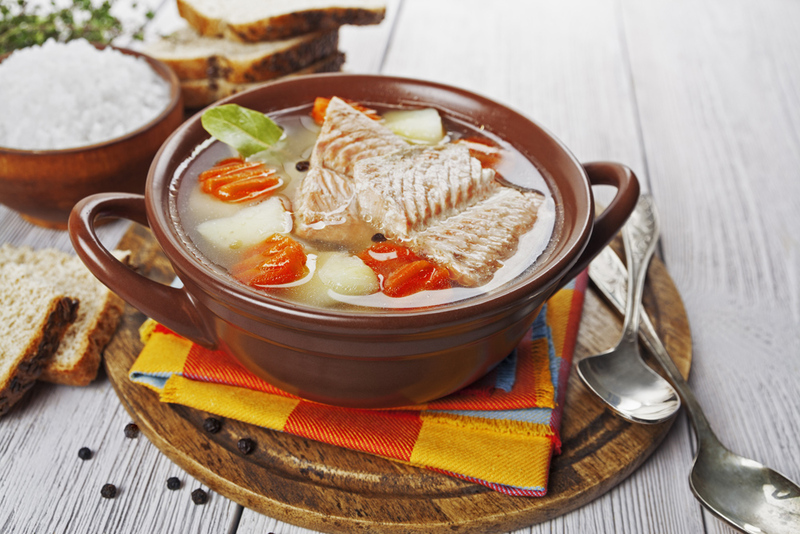 During the festival residents and guests of Petrozavodsk will be able to try various kinds of ukha soup, which is usually – but not always – made from red salmon. Bite on that, the fish lovers: there will be 200 liters of fish soup available accompanied by crunchy croutons. Here you can learn how to cook it at home. Have you tried all of Russia’s many delicacies? Carpe diem! Last week marked the beginning of Lent for Western Christians. On Ash Wednesday, adult believers don't eat meat at all and are allowed to have just one meal or two smaller meals with no snacking. They also get their forehead crossed with the consecrated ash, which gives the day its name. Here is a dish that perfectly suits the day. Let us introduce you to the trend of food sharing in Russia. Finally shops, restaurants and cafes have started giving unused products to people for free. Everyone that has extra food is encouraged to give it to those that need it. The main purpose of the movement is to increase environmental awareness. Although this movement (note: the info is in Russian) was founded in Russia just one month ago, it already has more than 10,000 supporters.